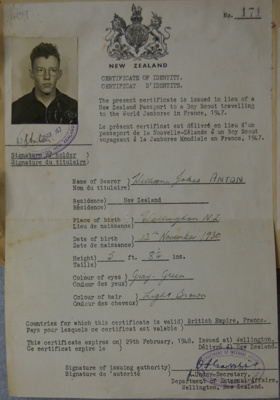 Special Certificate of Identity paper issued by the New Zealand Department of Internal Affairs for New Zealand Scouts travelling to the 6th World Jamboree in France in lieu of a passport. These Scouts travelled by sea to the United Kingdom and camped there until it was time to go to France, returning again via time spent in the UK. 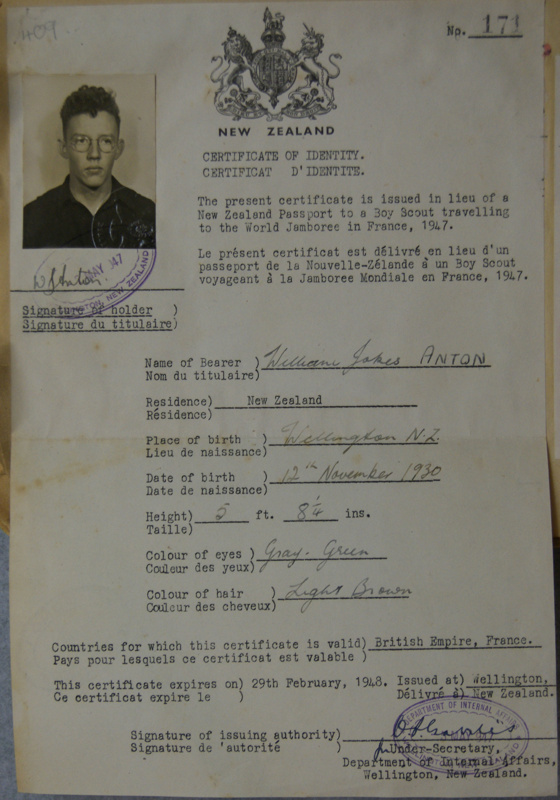 This document specifically refers to ..."Boy Scout travelling to the World Jamboree in France 1947" in both English and French.